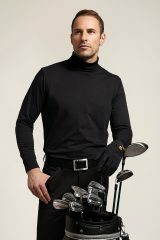 Our range of Glenmuir clothing for men is perfect for the golf enthusiast. From long sleeve roll collar jumpers and knitted v-necks, to Lambswool slipovers and popular Glenmuir cardigans. 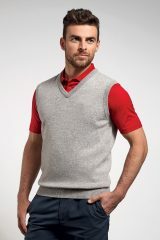 Whether on the golf course or off, gents will look smart in this range of Glenmuir knitwear.